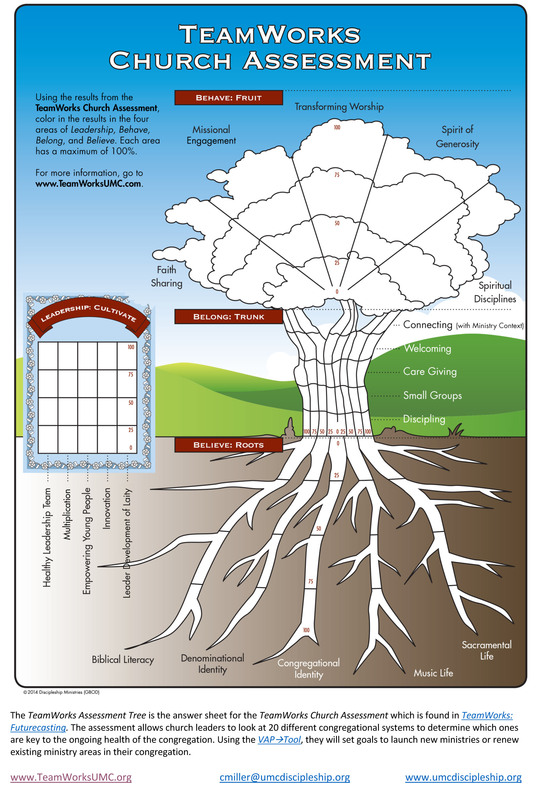 The TeamWorks Assessment Tree is the answer sheet for the TeamWorks Church Assessment which found in TeamWorks: Futurecasting. The assessment allows church leaders to look at 20 different congregational systems to determine which ones are key to the ongoing health of the congregation. Using the VAP-Tool, they will set goals to launch new ministries or renew existing ministry areas in their congregation.